Glutamine is a critical nutrient for your body. Some might argue that it’s actually one of the MOST important! The amino acid is produced in your muscles. It plays a role in your digestive function, your immune health, and even the utilization of proteins and glucose. Of all the amino acids—those produced in your body and those you have to consume through protein-rich foods. This glutamine is very likely one of the most critical for a healthy body. For this reason, so many people make the smart decision to add glutamine supplements to their day. A glutamine supplement can help to provide enough of this vital amino acid. Particularly during times of stress, when glutamine production drops off. By taking glutamine supplements, you’re able to combat the problems that occur as a result of low glutamine levels, thereby keeping your body healthy. But the question has to be asked: how much glutamine should you take? Is there such a thing as “too much” of this particular good thing? Is there an amount where the effects are most visible, or when those effects start to turn bad? Below, we take a deep dive into glutamine supplements. How you can find the right amount for your daily use. By the end of this article, you’ll know exactly how much you should be taking every day. 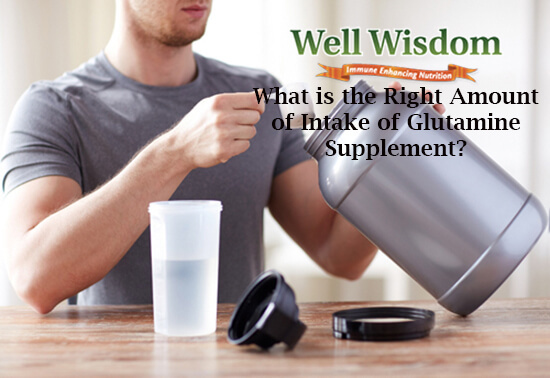 What this means is that, despite the evidence that glutamine works, the specific benefits haven’t yet been adequately tested on healthy humans to know the precise mechanisms. A lot more research needs to be done to find out for certain. But, what that same 2008 study does provide is an insight into just how much glutamine you should be taking! It does on to say that a dosage of 0.65 grams of glutamine per kilogram of body mass (so 65 grams for a 100 kilogram person) are reported to be “tolerated by patients” and didn’t lead to a spike in ammonia (a side effect of high protein intake). Though the study was only conducted for a short-term period (14 days). The athletes taking glutamine during that time reported no adverse effects. This means that it SHOULD be safe for you to take glutamine for longer periods. Simply be alert for any negative effects that may arise, and adjust your daily dosage accordingly. If you’re considering taking glutamine supplements, there are a few things you need to know about the timing and dosage of the glutamine. Ideally, you want to take glutamine first thing in the morning, 30 minutes before your workout, 30 minutes after your workout, and immediately before bed. Why is this? 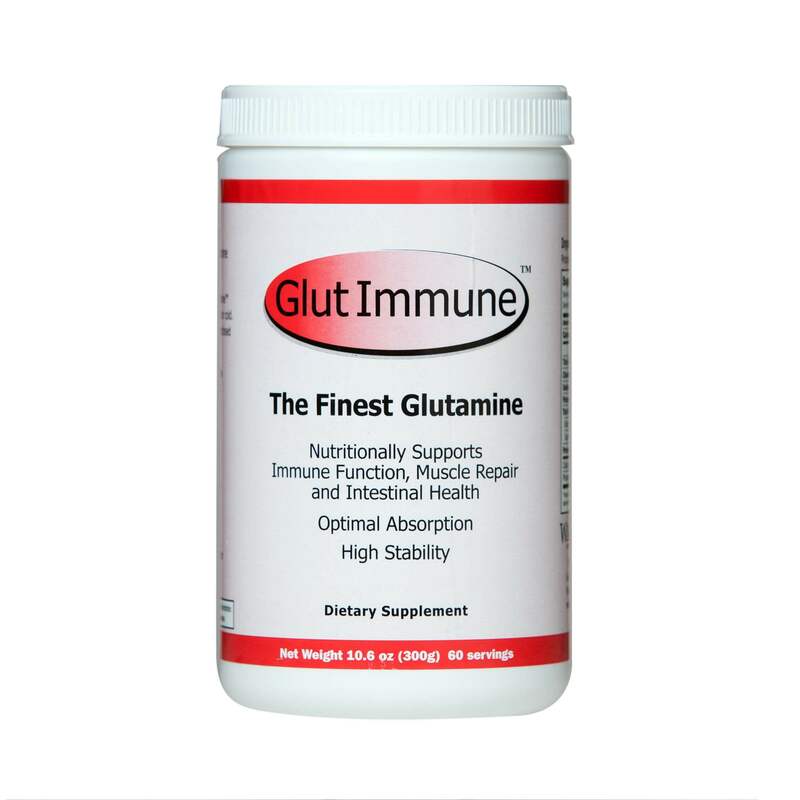 First thing in the morning, the glutamine will give your immune system a boost and fire up your metabolism (one of the great side effects of protein). 30 minutes before and after your workout, the glutamine will protect your muscles from catabolism (breakdown). It helps to encourage the maintenance and growth of lean muscle mass. Some believe it may even speed up strength increases as well! Immediately before bed, the glutamine will give your body a hefty dose of critical proteins needed to make internal repairs, and will enhance your immune function overnight. Ultimately, taking the glutamine at these times throughout the day is the best way to give your body what it needs when it needs it. But if you’re taking just 20 to 30 grams of glutamine per day, it may seem like a lot of small doses all day long. The good news is that you don’t HAVE to take the supplement at all four times every day of the week. Some days you can take the glutamine before your workout. While other days you can take it after your workout. On the days when you work out first thing in the morning, your pre-workout dose of glutamine will serve as your first daily dosage. The key is to break up those 20 to 30 grams of glutamine into 2-3 dosages per day (10 to 15 grams). For example, let’s say you want to start your day with an intense workout. You kick things into high gear with a 10-gram dose of glutamine, followed by another 5-gram dose right after the workout. At night, you can finish your day with a 5-10 gram dose of glutamine to give your body the nutrients it needs. You can also break down your dosage into 5 to 7 gram doses to be taken four times a day. First thing in the morning, before and after your workout, and right before bed. However, it’s important to know that the BEST time to take glutamine is before and after your workout. That is when you’ll see the greatest effect in terms of immune boosting and muscle benefit. Follow this timing and dosage advice, and you’ll get enough glutamine every day to stay healthy and strong!